R SIM 9+ nano Cloud iPhone 5C,5S,5,4S iOS7.X-Beta 8.X Unlocking and Activation. R-SIM9 + Nano-Cloud fully compatible card with 4S/5/5C/5S models of iPhones. Works with all operating systems, ranging from iOS 5.X and to Beta 8.X . R-SIM includes all benefits currently developed nano-technology, as developers use the cloud to download firmware updates. 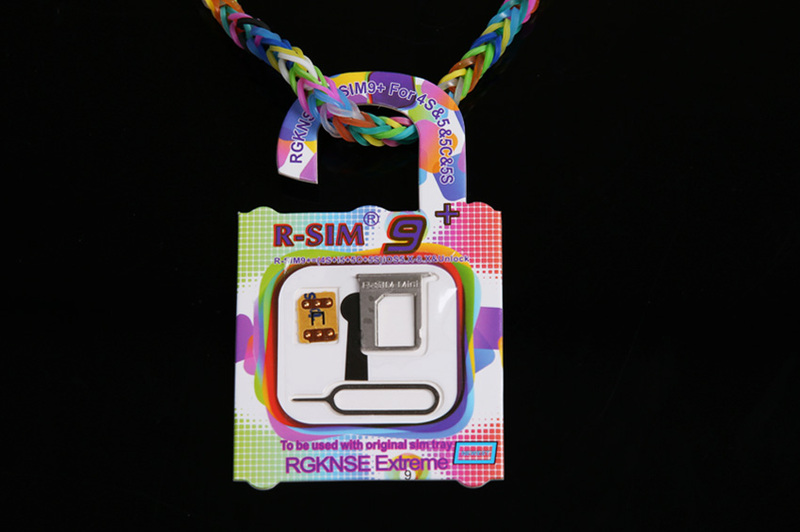 Above all, the manufacturer has created a new unlock algorithm integrated in the new R-SIM9 + Nano-Cloud card. Also, update the software and interface. You can choose your cellular provider. Inserting R-SIM9 + map, you will see a pop-up window asking you to "take (accept) or "reject (cancel). Regardless of your choice, the phone will receive communication. If you want to choose another operator - click "accept" and the phone will redirect you to a page with available at the moment, operators, where you make the right choice. If you do not need to change the operator, press "reject" and the phone automatically activates the operator you used last time. In previous versions of cards was discovered because of a technical failure of repeated activations. New R-SIM9 + Nano-Cloud map created protected from this problem. Also, added copy function data cellular operator. Ability to use the original SIM card tray, eliminated the need for an unnecessary operations such as cutting or punching SIM cards. hi, nice to meet u .